Global Health is the international medical insurance division of American International Group, Inc (AIG). AIG is one of the largest American providers of financial services and all types of insurance. With a worldwide staff exceeding 106,000 people, AIG has international capabilities and experience. With AIG as the parent company, you can feel safe knowing that Global Health will be able to address all of your worldwide health care requirements. Specializing in serving expatriates all over the world, Global Health is well-acquainted with the challenges of living overseas and knows how to provide the services that you need. International insurance from Global Health features benefits without any co-payment, around-the-clock emergency assistance and the option to choose in which medical facility you wish to be treated, anywhere in the world. Global Health operates in Asia through American International Underwriters (AIU), a member company of AIG. Formerly known as Pathfinder Asia Ltd, the new Global Health name retains the established reputation of admiration in the international insurance industry. With local offices to serve you better, AIU's service professionals operate as an extension of AIG and Global Health. With plans available for expatriate medical insurance and travel coverage, Global Health has options that will fit your international needs. Plans come in US dollar denominations and will cover you wherever you are around the globe. Basic outpatient care is augmented by a comprehensive, 24/7 emergency hotline to assist you. 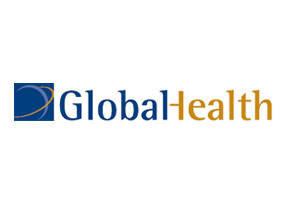 Global Health offers comprehensive plans with options for maternity and dental, all including convenient direct billing and an expansive international provider network. With corporate and family plans, Global Health can accommodate all of your global medical needs. If you are an American residing in the U.S. but traveling extensively for business or pleasure, Global Health has 'International Journey Safe' travel coverage that will provide security while you are away. To find out more about Global Health medical insurance for expatriates, contact the professionals at International Medical Insurance.